Wendy is the new owner of Aligned for life Pilates in Richmond. 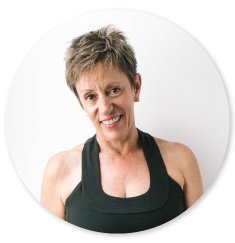 After practising Pilates for the last 14 years Wendy decided in 2009 that she wanted to have a career change and teach Pilates to others. Wendy then qualified with the Diploma of Professional Pilates Instruction at National Pilates Training at the end of 2010. Wendy is full of energy which helps her as she has a full plate balancing teaching Pilates and running a studio with golf, caring for her two homes & two whippets with her husband Warwick.